Recently Gillian Tett, US Managing Editor of the Financial Times, seemed surprised about ‘the growing number of business executives keen to sign the United Nation’s latest ‘pet project’ (her wording)- the so called Sustainable Development Goals’. In her article in the FT on September 22nd she talks about a ‘mingling of tribes that reflects a happy collision of interests’. 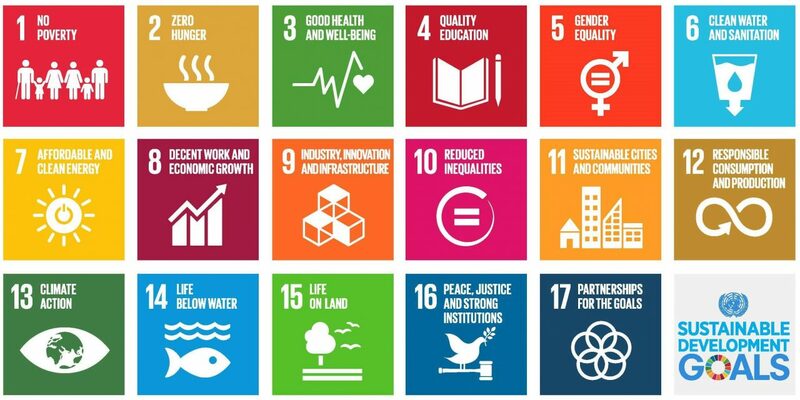 UN officials have realised that business support may increase the chance of achieving the SDGs. NGOs are becoming more creative about how they can tap private sector money, using devices such as social impact funds. And to her surprise a growing number of company leaders ‘now find themselves under pressure from their own employees — and shareholders — to be “sustainable”.’ CEO’s are more vocal. For example Frans van Houten, head of Royal Philips, says he sees the SDGs as a way to expand the Dutch company’s brand around the world. Tett notes that the SDGs have created linguistic “bridges” and common reference points for all sides involved; businesses, NGOs and UN officials. Still the SDG metrics could be greatly improved. But the fact that the C-suite is starting to talk about this is, as she says, striking in itself. ‘Let us hope it lasts, and even delivers some results’, he concludes. I liked the article as Tett gives a platform to one of today’s big challenges (for governments, NGOs, business and others) which is to strive for meeting today’s needs without compromising the ability of future generations to meet their needs. The SDGs provide a roadmap for this adventurous journey. On the other hand the article also seems to show significant surprise about the efforts that the various stakeholders are putting into this. However, sustainable development is not new. It is a process that has been growing over the last decades. Even the SDGs are not new as they we launched in 2015. Businesses are exploring pathways for creating ‘shared value’, a robust performance which contributes to both society and the bottom line of the corporations. There is still a long way to go. No doubt about that. While interviewing executives, supervisory board members and academics for my book ‘Sustainability in the boardroom’ (published in Dutch only) I concluded that in order to truly contribute to the transition towards a more sustainable economy and to create synergies between value creation and societal value added, boards should step up their efforts. As governments, nor NGOs or businesses can’t do it on their own it is great that new partnerships are being pioneered. Only by exploring alternative solutions and through (social) innovation new pathways will be found. Having better metrics will definitely be helpful. But I fundamentally believe that having committed leadership is much more important. If you want change you have to put your weight behind it. Frontrunners are showing that this transformation can be started, also when metrics are still suboptimal. Having conferences on sustainable development is important, but to make this sustainability drive last and to deliver results it is important to recognise that actions speak louder than words. Follow the leaders, make a difference!